So I just got back from Quilt Market in Pittsburgh…..I am still finding photos I took to put up on Instagram so be sure to follow me there as bluenickelstudios. It was crazy fun, and I have a ton to share (and even a giveaway!) but for today, I wanted to share about my Gypsy River Camp quilt that was published in the March April issue of Generation Q. I know, I work there, but I never got a post up about this issue because I was working so fervently on three (wait, four) different Quilt Market projects as well as the Day Job and the Gen Q stuff. 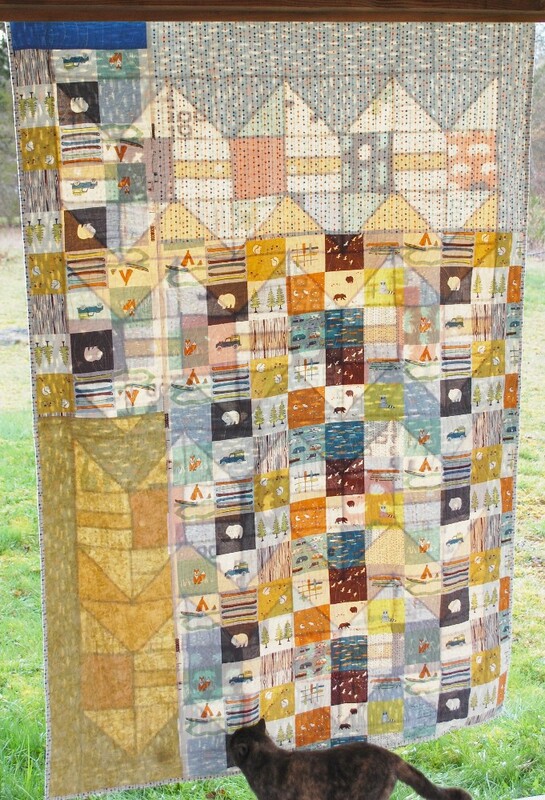 The above and below picture are how the quilt appeared in the magazine. Below is my first version of it. 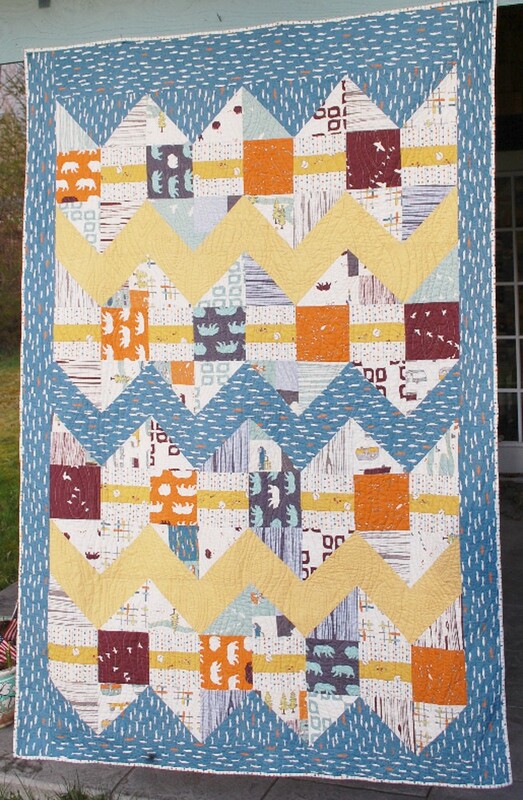 I made this one for the Birch booth at Quilt Market a few years back, but never patterned it. 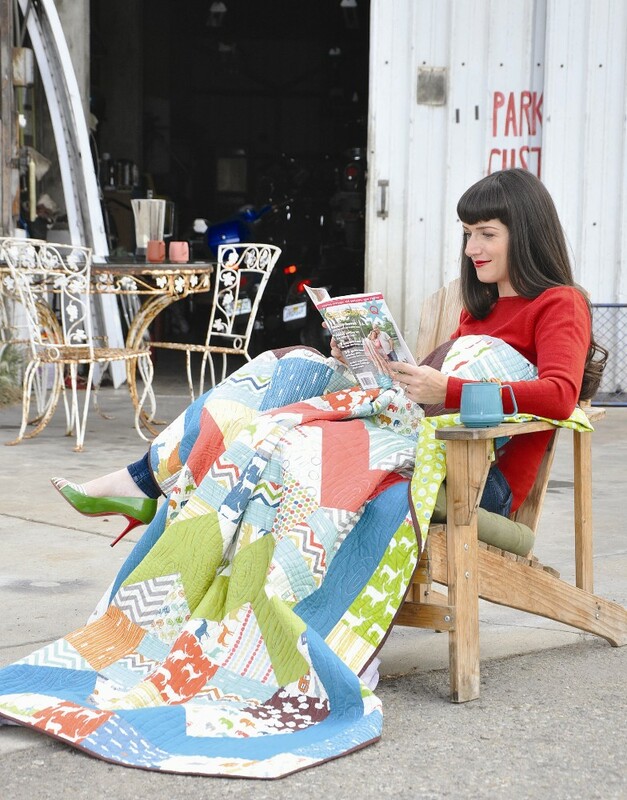 You can still get a copy of the issue that quilt is in here. Find the March April issue with the adorable Sara Lawson on the cover and click to purchase. 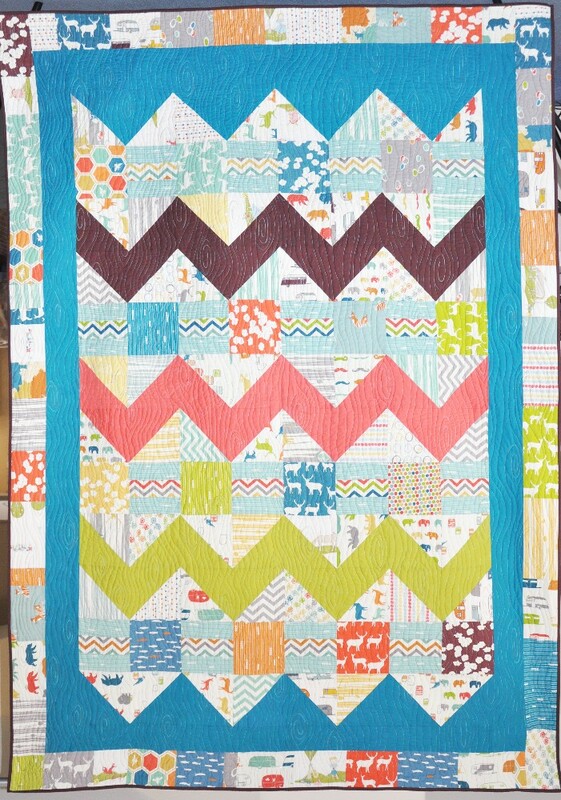 And now for the winner of the table runner from this post……..drumroll please…..
My favourite fruit is Mango. Mmm!! I enjoy it as a fresh fruit, or as a flavouring in sorbets, ice-cream, juice, anything really. It’s delish! As I wrap this post up, I just realized that although there were two “subjects” to share, they both involved Sara Lawson to a degree….Serendipity falls into play again. Happy Sewing peeps! I am going back to massive pattern writing and editing for my students who are taking my classes this summer at Sisters. I am really, really behind on that road, and I am so grateful for the patience of those students have been super eager and waiting for me to catch up. The patterns will be available for sale to all soon. Looking forward to meeting you and learning from you this summer in Sisters!